Theme for the month of March is "Your favorite part of town." 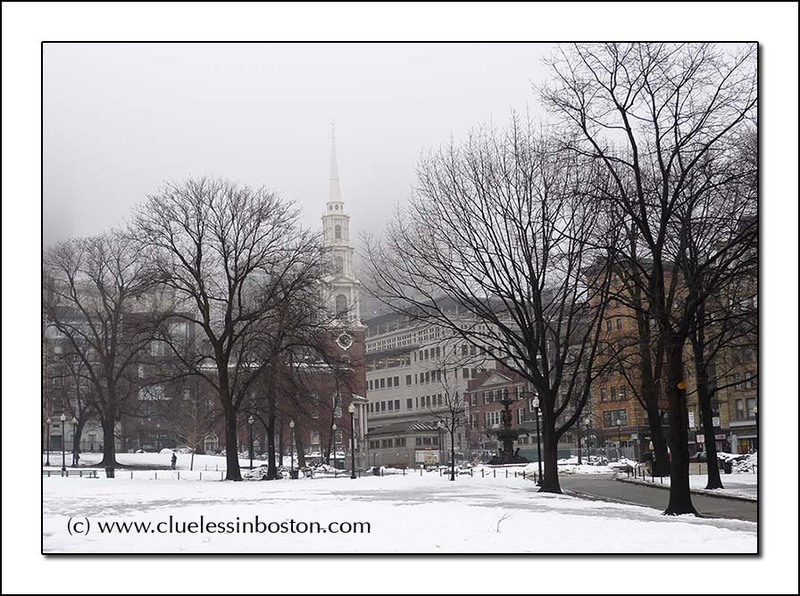 I chose the Boston Common looking towards Park Street Church. A beautiful choice for Theme Day! A beautiful part of your city. Love your wide-angle shots. It is amazing how photos of my friends' fav. places of their cities are full with love. Boston Common is a great place. For today I am going to use the name loosely and also embrace the Public Gardens, which many people don't recognize as a separate place. This is a perfect choice! What a fine composition.